This 19 strand stainless steel wire is a compromise between the 7 strand and 49 strand. Although extremely flexible, it still has the stiffness needed for everyday situations. 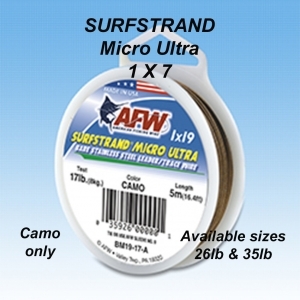 Available in 26lb BS and 35lb BS, in 5m spools. Please select from the shopping cart options.